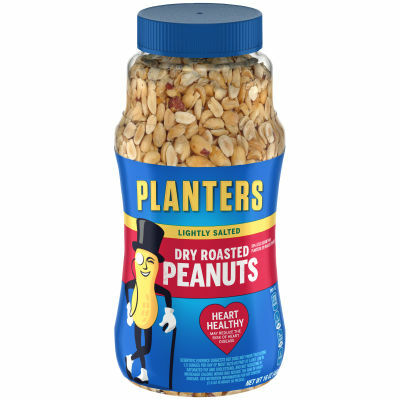 Lightly Salted Dry Roasted Peanuts Roasted to the most appetizing flavors, Planters Lightly Salted Dry Roasted Peanuts are enhanced with a dash of sea salt for a classic salty flavor and crunchy texture. These peanuts are the perfect grab-and-go snack to satisfy your midday cravings or have as an afternoon snack. Classic Crunch with Reduced Sodium These peanuts are perfect for low-calorie mid-day snacking. The absence of added oil reduces the calorie count drastically, and the lightly salted recipe contains 50% less sodium than the classic recipe. Mix them with your salad or munch them on their own. This package contains one 16 oz jar.